﻿ Buccia Winery, Vineyard and B & B - Ohio. Find It Here. 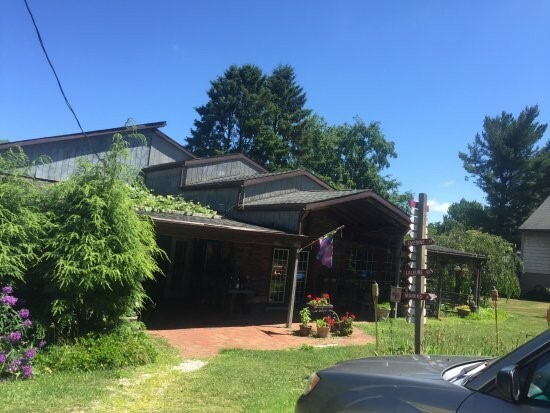 Buccia's in one of two award-winning wineries in Conneaut, Ohio, near Conneaut Creek. In 2018, Buccia Vineyards was re-built with a modern design, while keeping the feel of the original winery. Our estate grown wines delight the palate. Visit us for wine tastings daily, or book a guest room for the night. Be sure to try our Rogers 15 variety Agawam, bred in 1856 and exclusively available at Buccia. Buccia Vineyards is a boutique artisanal estate, offering hand crafted wines and freshly rebuilt guest rooms. Each of the four unique rooms contain a private 4-person jacuzzi hot tub. Breakfast for overnight guests is served daily. Wine tasting is open to the public, from noon to 9pm weekends, and from 5pm to 9pm on weekdays. Entertainment most Friday and Saturday evenings from 6 pm – 9 pm, light refreshments available.